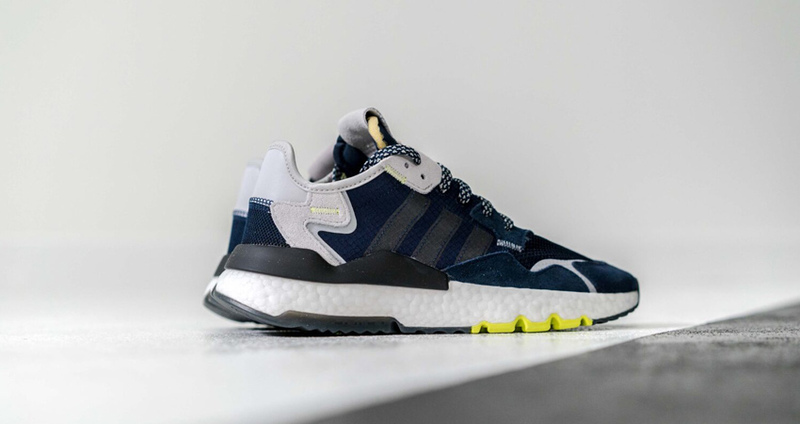 JD Exclusive adidas Nite Jogger Pack Is Something Really Distinct and season-perfect because of the colour palette and also for the foot-friendly construction. Maybe that’s the only facts you should be looking for in a shoe. But to make them more reliable and intriguing, these stunners come weaponised highly with combat mode so that your feet don’t feel the shock or temp of your hardest strikes. The Nite Joggers are going big for the Spring days. They have Travellers Pack and about seven more colourways to drop in April. Among all the breathtaking themes and features, this team-up with JD might make us all run to the stores! 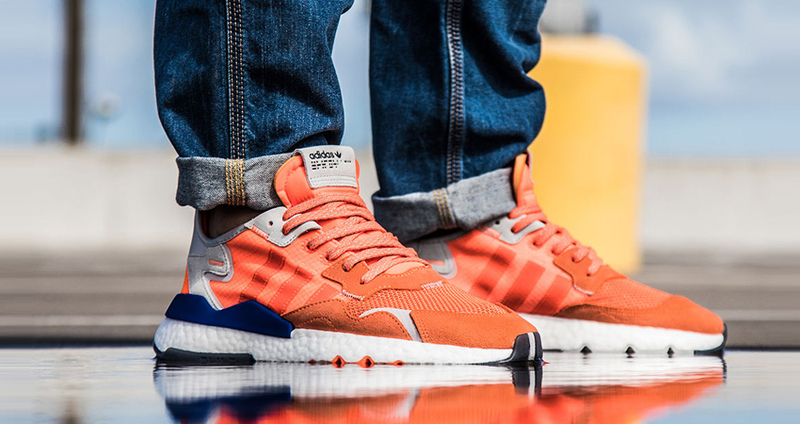 The evolution of classic Boost beasts got to a whole another level when the Joggers came along. Enjoy the throwback to the 70s with a shock orange and obsidian blue colour palettes. Both of these street terrors have their materials and high-quality features in common. Rough suede, rip-stop nylon, and knit mesh craft them while making sure you are absolutely safe and comfy. Hit follow for @FastSoleUK for more. A striking palette of tangy orange hits the entire upper where the mesh, nylon, and suede set their fort. Grey hits the suede rear and collar for a change, but the electric blue on the synthetic heel plate looks perfect for the contrast. 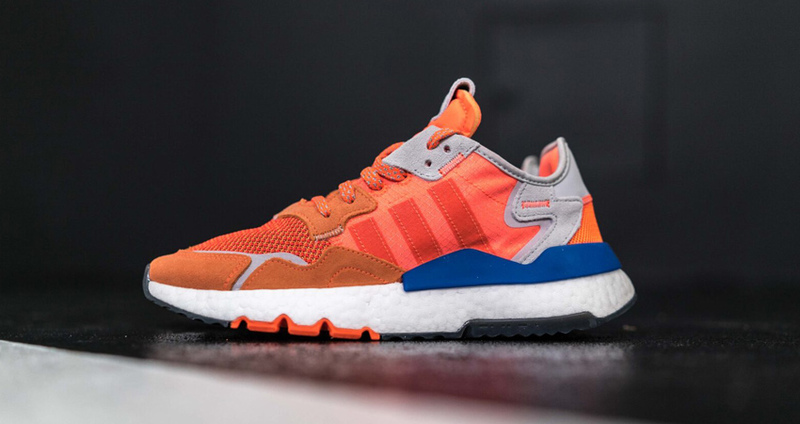 A traditional white Boost and orange-black outsole finish the game. The crowd will go massively crazy when it hits the floor! The mystique navy upper stays monochrome as much as possible, but the grey rear says otherwise. Suede-mesh-nylon works fine with every stride, and so do the Boost slab. Lime yellow pops on the underfoot for a colour-shock. 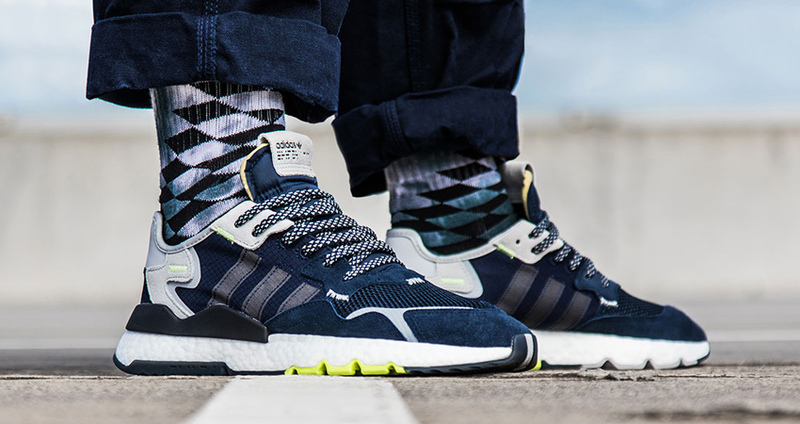 JD Exclusive adidas Nite Jogger Pack is releasing 11th April via listed UK and European retailers.